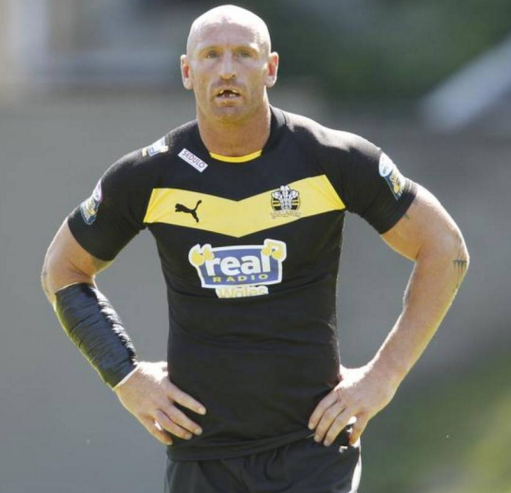 Former Wales rugby captain, Gareth Thomas, launched a new battle on the sports field on Monday when he backed a move to outlaw homophobic chanting at football matches, saying it should be considered as serious as racist abuse. Thomas, who came out as gay in 2009, gave his support to a bill that would amend Britain’s Football Offences Act, introduced in 1991 to ban racist or “indecent” abuse at matches, to include homophobic slurs. “At the moment we’re in a very grey area of what is allowed and what isn’t allowed,” Thomas told the BBC at a launch event in London for the bill, which will shortly be tabled in parliament by the ruling Conservative Party MP, Damian Collins. A parliamentary inquiry last year found that sports authorities were not doing enough to tackle homophobia and should adopt a zero-tolerance approach to abuse at all levels. “The time has come to move from acknowledgment to action,” said Collins at the launch event. Thomas, who captained Wales between 1995 and 2007, has said he hid his sexuality for years, and contemplated suicide when his wife left him three months after he came out. In 2017, he presented a BBC documentary called “Gareth Thomas v Homophobia, Hate in the Beautiful Game”, about institutionalised homophobia in football. Homophobia has long been a problem in football. A 2016 survey by the British pressure group, Stonewall, found 72 percent of fans reported hearing anti-gay abuse at matches. In September, the club Leicester City banned three fans from its stadium after they took part in homophobic chanting. The issue hit global headlines this year when world governing body, FIFA, fined Mexican fans for using an anti-gay slur during the opening match against Germany at this year’s World Cup in Russia. “Homophobic, biphobic and transphobic chanting are still sadly a feature of football terraces,” Kirsty Clarke, director of sport at Stonewall, told the Thomson Reuters Foundation. Paul Elliott, the black former England player who now chairs the Inclusion Advisory Board of Britain’s Football Association, also gave his backing to the bill, saying the sport should be open to everyone. “Since I retired from playing the game, I have strived to make sure that every aspect of football is open to everyone, which will only be a reality if inclusion is placed at the heart of everything we do,” he said in a statement.